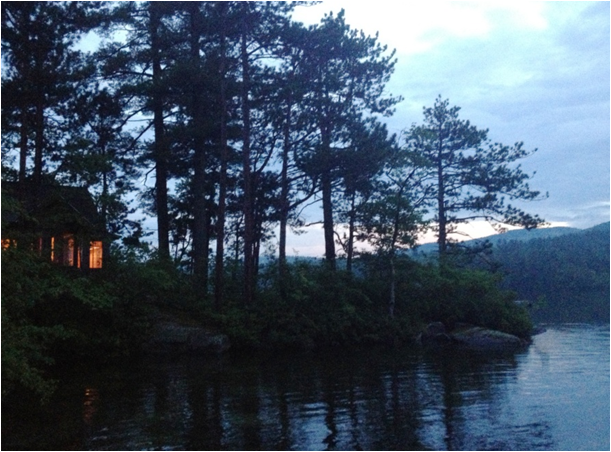 Squam Lake is known for families of nesting loons, and Rockywold-Deephaven Camps hosts resident loons every year. They especially come out during the fall, when the lakes calm from boat traffic. If you want to see a bird’s-eye view of Squam, head to the top of Rattlesnake Mountain, a 15-minute hike to a rocky outcropping with a vista straight out of the movie “On Golden Pond.” I see Rockywold-Deephaven Camps below and decide it’s time for a late season swim before a lakeside salmon dinner. That night, in my rough-hewn cottage nestled in a corner of Bennett Cove, I hear first one loon, then another, calling to each other in the still of the night. If Grandmother loves loons, Migis Lodge holds the jackpot. 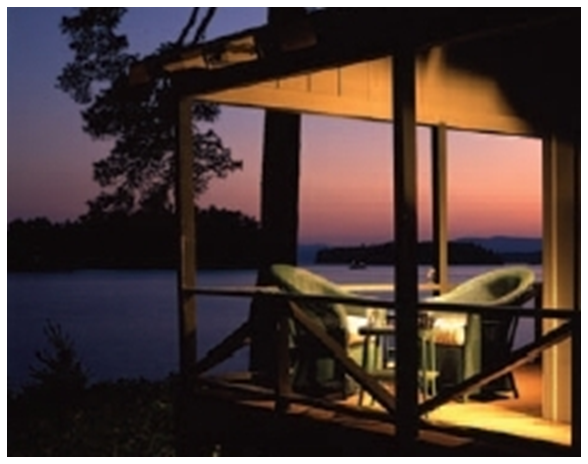 Nestled in a secluded corner of Sebago Lake, Migis is a place where loons bugle their love songs from the shadows of inlets and coves. Hammocks swing between pine trees. Adirondack chairs are paired in gardens filled with yarrow, aster, phlox and hollyhock. Kayaks await slow paddles to distant islands. Quiet. Peace. It’s also a place where you can hide from the ones you love, if needed. Opened in 1916 as a “cure-all to city-life,” Migis is a luxurious Girl Scout camp without the Scouts. Covering 125 acres of forest along 3,500 feet of shoreline, Migis cottages are spaced privately between groves of oak and pine. The main lodge, sitting like a fieldstone-encrusted Queen Mother, is lit with evening candlelight and glowing fireplace. The sun sets in tones of ruby and amethyst across the lake. If you have a “very fun” family, Migis also offers a kaleidoscope of activity and excitement. and sand sandwiches and squawking at Deets, the parrot. Aunts can meet for golf, while uncles get facials and massages. A full panel of activity awaits, if you’re so inclined.